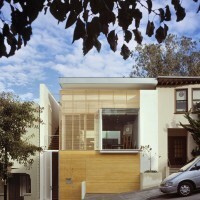 Fougeron Architecture have designed the 1532 House in San Francisco, California. 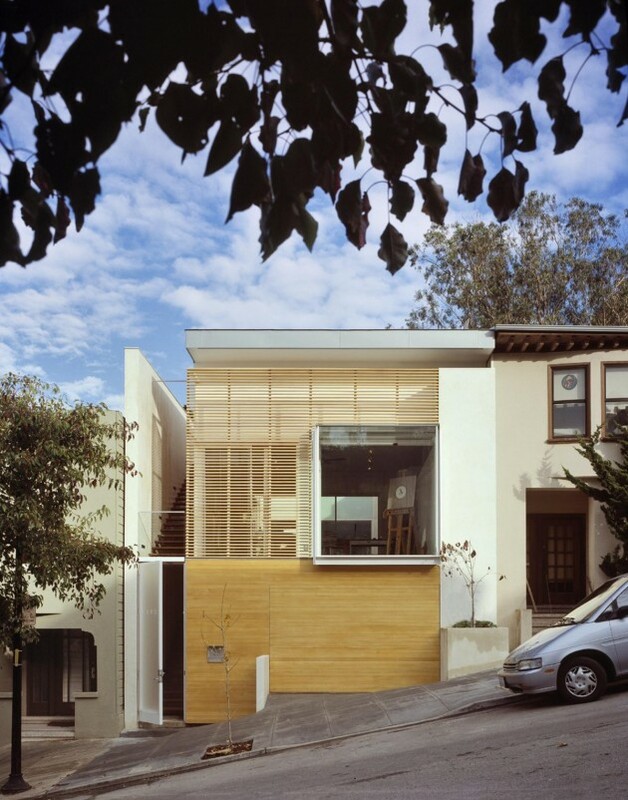 This San Francisco residence and studio, infilled on a twenty-five-foot-wide lot, reverses the reading of the city’s Victorian houses with a completely porous front facade. Its broad bay window intentionally invites passersby to look into the street-facing painter’s studio and beyond the sight line continuing through the studio and the three-story home in the rear to the backyard. 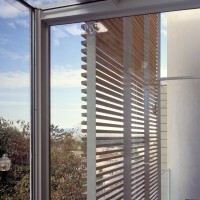 Open slats replace siding, breaking the street wall while subtly echoing its rhythm. The design incorporates two sectional moves. 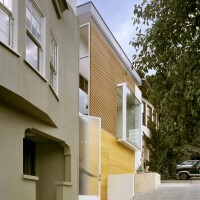 A horizontal one introduces a courtyard between the front and rear structures; a vertical one brings the ground floor, which includes the garage and bedrooms, down to street level. These two design elements create a powerful interplay between inside and out and between different levels of the house and studio. 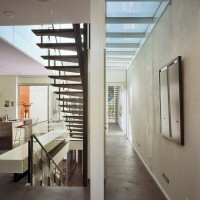 Light and transparency shape dramatic interior and exterior spaces. 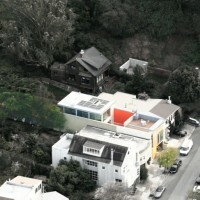 This is a rare typology for San Francisco homes, whose lots are usually too shallow to accommodate an open courtyard. It promises a solution to a major problem in most city residences. Often deep and lit only from the front and back, they are invariably dark in the middle. 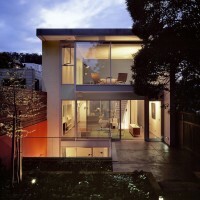 On the contrary, the 1532 House has seven outdoor spaces, all with distinct qualities and views. Decks, walkways, and gardens unfurl around the living areas, heightening the visual complexity of the structure and its site. 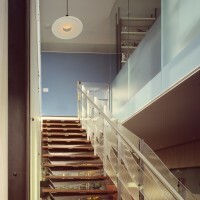 The second floor of the house-an open floor plan with kitchen, dining, and living areas-is punctuated by a two-story staircase and is on grade with the backyard. The third-floor suite consists of a master bedroom, bath, and study. 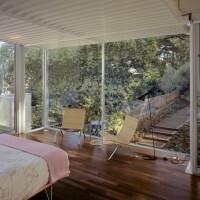 The bedroom’s bay window opens up a spectacular view of the backyard and the city park beyond, repeating the form of the glass bay at the front of the studio, which captures a view of the Golden Gate Bridge. The 1532 House is inseparable from its context. From every vantage point within, residents are visually connected to the incredibly varied urban landscape without.